Ok, so now that I have your attention. Look what The Big Guy got me last week. Our blender belonged to my Grandmother and can be difficult to use. Think it might be from the late 60’s or early 70’s, guess it is just old and cantankerous. I’ve didn’t food processor. I have a mini processor which doesn’t always work for somethings. Anyway The Big Guy found a good deal on the Ninja 1100 System. We had looked at them in the store. The Big Guy liked the name. 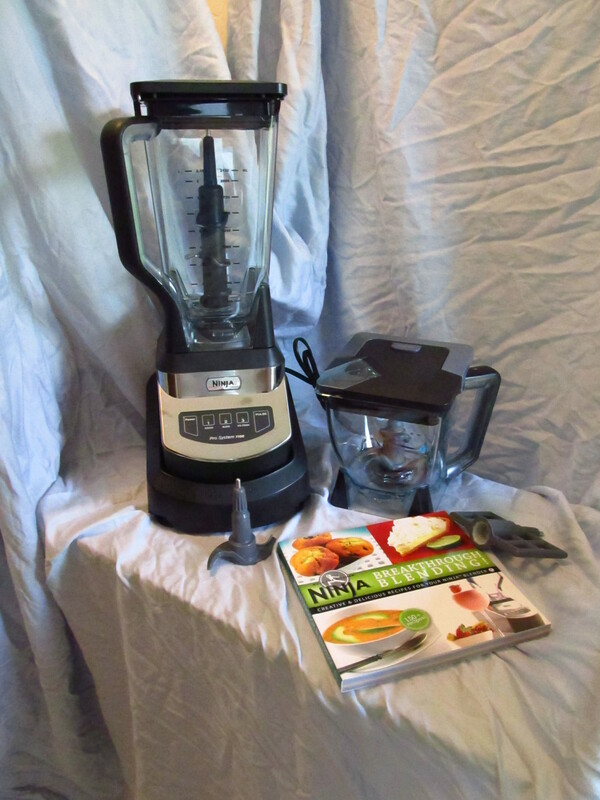 I wanted something that could be both a blender and a food processor. I was surprised that it had such good reviews. For about $100 it is a good deal. It came with 2 size bowls, 2 types of cutting blades, a blade for dough and a paddle. It will work for food processing, blending and juicing. They weren’t kidding about this warning. Ironically, I got several cuts on my hands trying to get this label off the big wicked looking blade.